"There's no crying in softball!" 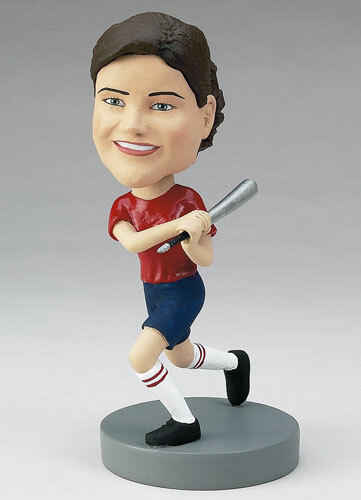 Give your softball player her own bobblehead to remind her of home-runs and great games. Customize the uniform to look like hers or like that of her favorite team, and engrave the base with her name and the season she played. Perfect for end-of-the-season celebrations or championship games!